That’s what the last week in August, running into the bank holiday, is. Orders down by a quarter to a third while customers try and squeeze the most out of the last of the summer holiday. Given that, an awful lot seems to have happened. 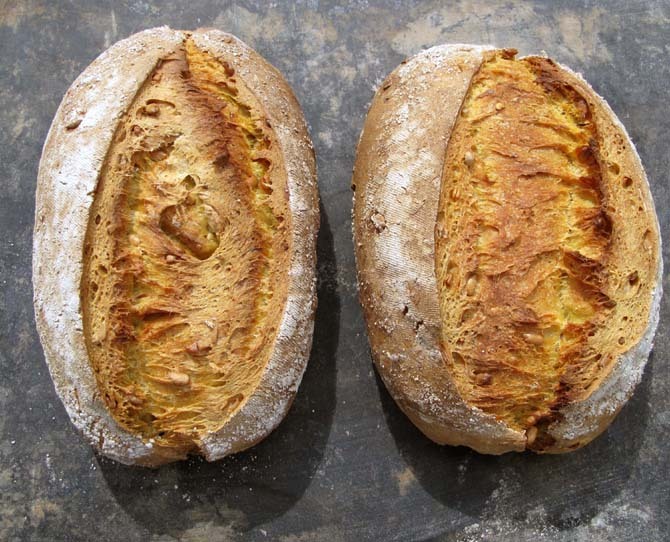 End of the previous week I did a sourdough demo at Oren, Gert’s restaurant in Caernarfon. Sold a few books, made the odd new customer. Baking bread for Gert is great because he changes his menu all the time. One week it’s the Austro-Hungarian Empire, next week it’s India and I have to come up with breads to match. Last week it was Italy and I revived a Pane Pugliese recipe untouched for some years because it doesn’t fit in with my baking routine. I’ll post this separately. I became a bone fide publisher. The PArtisan Press is now a proper, registered publishing house (publishing cottage?) complete with ISBNs (Bethesdabasics ISBN 978-0-9570134-0-7). You got to treat me with respect now. At the back of my mind I feel fairly sure I read several years ago that some breads could be baked seal side up so that, instead of slashing before baking, the seals are allowed to open in the oven. Like a lot of other things you don’t want to experiment with when it’s the paying customers’ bread, I have avoided trying this previously. This week my large Butternut Squash were fairly poorly sealed and I thought, what the hell, give it a go. On top of this, I did what I think was a successful bit of experimentation with some wholemeal wheat flour which again I shall post separately. The problem with baking for profit is you want everything to fit into a neat little framework. 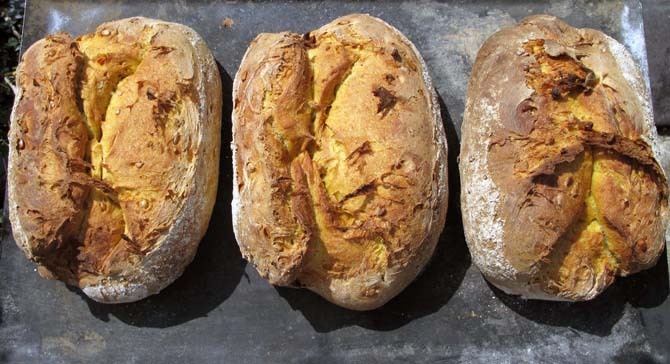 You want to produce the best bread but you also want as little hassle as possible. Hassle=time=energy. This week I started experimenting a bit. Better lie down now.